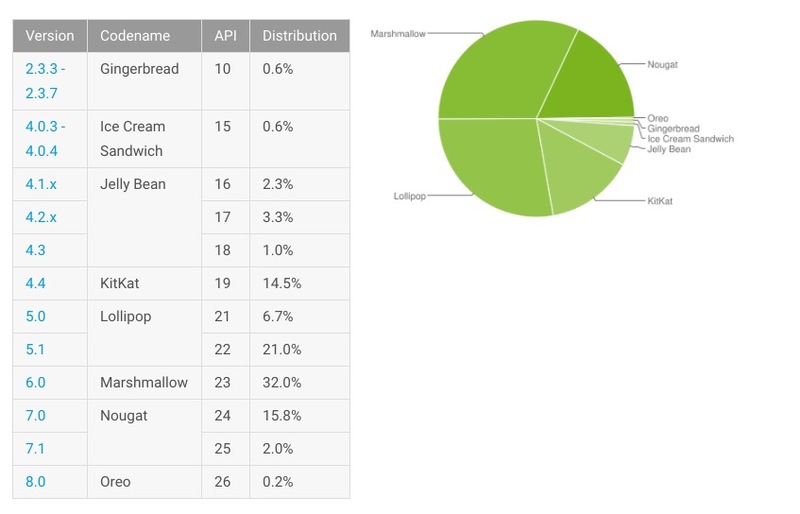 Oreo has officially made its debut on the Android Distribution chart, flying in at a massive 0.2%! Considering it’s only available for a handful of devices, this low number was somewhat expected, but it’s still a little disappointing and reminds us that updates continue to be a pain point for Android users. Regardless, Oreo! 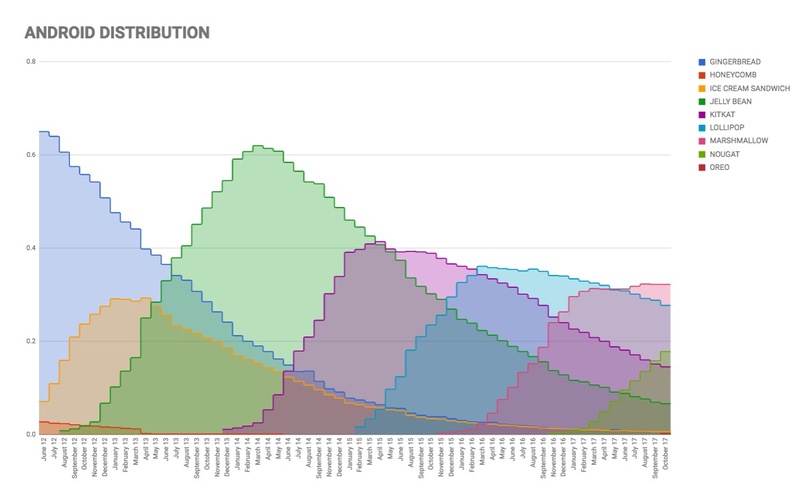 As for the other Android versions, Nougat now sits at 17.8% (up from 15.8%), Marshmallow is at 32% (down from 32.2%), Lollipop is at 27.7% (down from 28.8%), KitKat is at 14.5% (down from 15.1%), Jelly Bean is 6.6% (down from 6.9%), and Gingerbread is still kicking at 0.6% (no change).